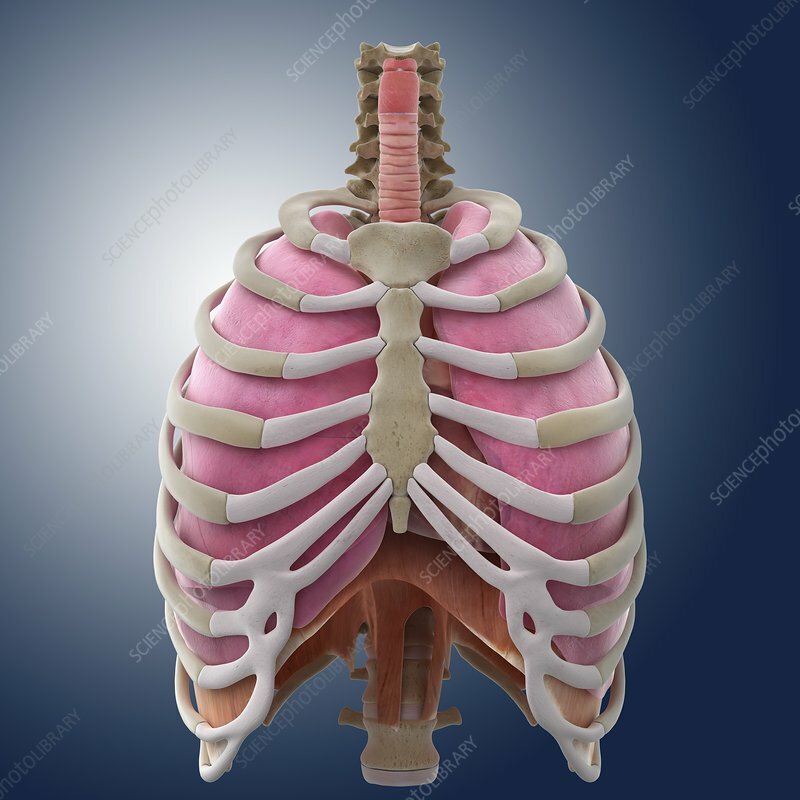 Chest anatomy, computer artwork. The spine is at top centre, with the trachea (windpipe) in front of it. The lungs (right and left) are surrounded by the ribcage, which articulates with the sternum (breastbone) in front of the heart (centre right).